Anyone who is in love with nature. 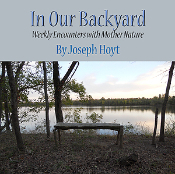 The book will be read by those into sustainable living, those who wish to slow down and take a break from the busy work world, by retirees, by educators, and by parents with school age children. Great read about an early Oklahoma boom town. Route 66 in Oklahoma comes to life when you recall those great years cruising the historic highway!